It has been a busy season in the drug approval department at the FDA. Last month they approved Belviq, the first new weight loss drug in well over a decade. Now comes approval of Qsymia aimed at the same market. Qsymia is made by Vivus Inc. It was originally named Qnexa, but the FDA requested a name change, fearing confusion with similar names. 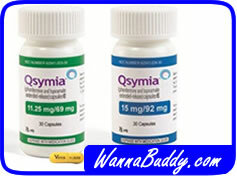 Qsymia combines two established drugs: phentermine and topiramate. Phentermine, half of the now-withdrawn Phen-Fen combo, is an appetite suppressant and mild stimulant. Many people take phentermine by itself to help them keep to their diet. Topiramate has been used for years as an anti-seizure medicine. It is commonly taken by people suffering from epilepsy. 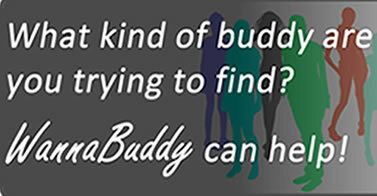 It has the beneficial side effect that is used in Qsymia of making you feel full. Combining an appetite suppressant and a fullness trigger can be a real boon for dieters. Qsymia is not a silver bullet. It can support a reduction in calorie intake by making the dieter more comfortable. Without an actual reduction in eating coupled with sensible exercise, though, no weight will be lost. If you combine Qsymia with a reduced calorie diet and sensible exercise, you will lose weight. When Qsymia was being tested, people lost between 8% and 10% of their total body weight. Most of this weight loss happened during the first 90 days. In fact, taking Qsymia for an additional 90 days only contributes an average of 3% additional weight loss. Qsymia is also not for everyone. The FDA has approved Qsymia for people with a body mass index (BMI) of at least 30 (defined as obese), or a BMI of at least 27 and a weight-related health issue such as highblood pressure, high cholesterol or type II diabetes. Like all medications, Qsymia can have side effects. The worst side effects are heart problems and birth defects if taken while pregnant. It can also cause increased heart rate and hyperventilation. With two new drugs on the market, how can you choose the right one for you? A comparison of side effects seems to favor Belviq, with less severe/scary reported side effects. On the other hand, Qsymia users reported losing more weight than Belviq users. Your mileage may vary. Whichever drug you select, it is critical to be under a doctor’s care during the entire course of treatment. Modify your lifestyle to reduce your daily calorie intake, and adopt a life-long exercise program. The combination of these elements can lead to a trimmer, healthier you!